2017 - 2018 Preferred contractor ★★★★★ We offer a wide range of home remodeling service to our customers. Whether you are looking to remodel your kitchen or create your dream outdoor living space, 52 Star Construction will be there throughout the entire process and provide you with top quality service. We specialize in kitchen design and remodeling, kitchen cabinets, bathroom remodeling, air duct cleaning, heating and air conditioning maintenance, solar panel installation, landscaping, roofing, water damage, fireplaces, carpentry, and fencing. No job is too big or too small for 52 Star Construction. We provide service in the Los Angeles area along with surrounding cities. Our team promises to listen to your desires and meet your expectations by working together to build the house of your dreams. I specialize small ($10k-$75k) Residential and Commercial projects in which Clients need help selecting finishes (interior/exterior paint color, countertops, backsplash, tile, wood floors, carpet, etc. ), and furniture layout. I bill hourly and have a 2-hour minimum. I excel at blending the old with the new and making it all work. I love saving my clients money by reusing, re-purposing and passing on my trade discounts. We work together to get the look, feel and quality you want for the best price! I like to start with color because its affect is immediate and far-reaching. It is both visceral and emotional. Each client has a Color Palette. I help them discover it: the Hue of You. Beautiful and functional elements create the foundation of every Lindsey Brooke Design home. 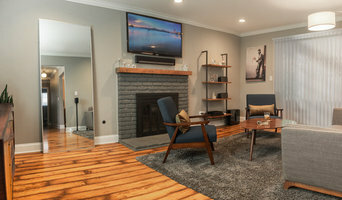 Lindsey’s background as an artist allows her to design spaces that are intentional and unique to every client. From mixing earthy textures with bold textiles, curating vintage finds with contemporary elements, Lindsey pulls her inspiration from the beautiful California landscapes she calls home. Here at LBD, we understand the importance of adhering to a client’s budget while providing a cohesive look and feel. As a mother of two, Lindsey designs spaces that are not only filled with beauty and intention but are also functional for the everyday family. There’s no detail that goes untouched, no challenge we can’t meet, and we put an undeniable amount of love in every project. 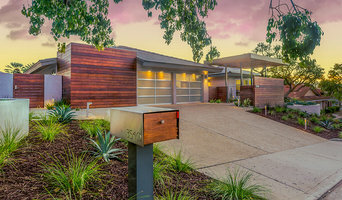 LA Design-Build General Contractor Best of Houzz 2013-2019! Specializing in custom residential construction with attention to detail and personal service. We have completed projects ranging in size from 450 sq ft remodels to estates of 20,000 sq ft. New Homes from $450,000 to 5 Million. Whole Home Renovations $175,000 to $1000,000. Kitchens; $15,000 to $125,000, Room Additions $15,000 to $275,000. Bathrooms $10,000 to $25,000. These are estimates only based on experience and your actual costs may vary depending on the scope of your project. Our team of trained professionals are ready to work on all aspects of your project from foundation to final landscape with continuous supervision throughout each project. Prices are reasonable, and every job comes with world-class project management and execution. Contact us for a consultation about your project. Complimentary 3D Rendering & Design!